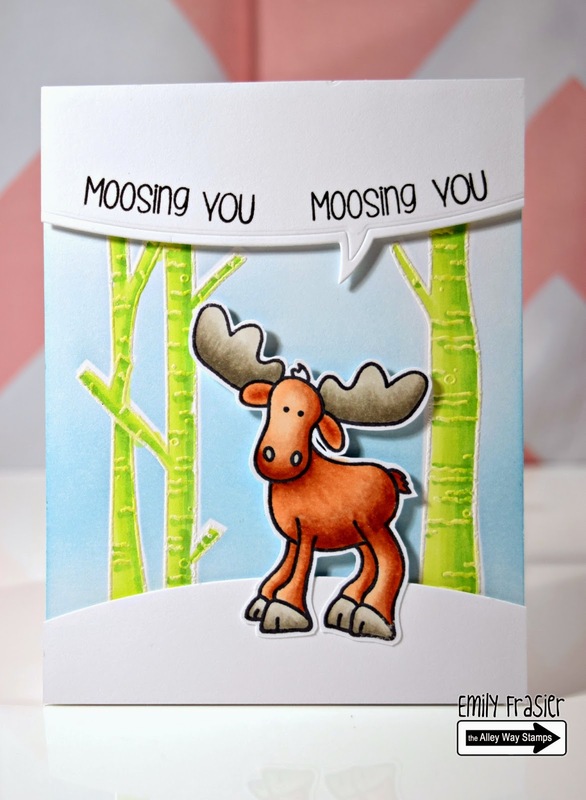 The Alley Way Stamps: Moosing You by TAWS + a Video! Hey, it's Michelle here with another card video, showing you how I made a card using the Castaways stamp set. I made a watercolor background, but used a different and unique product - Faber Castell gelatos. Watch the video to see how it came together! Hi all! It’s Francine. 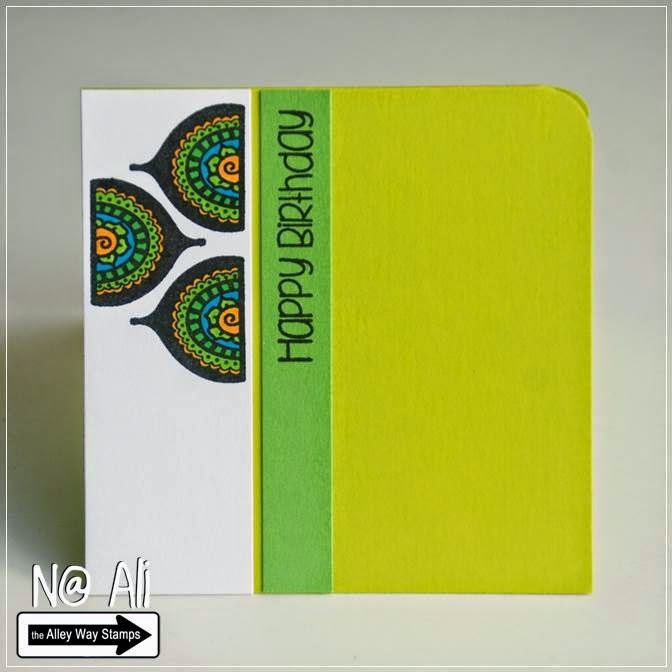 For this card, I used the Moosing you stamp set (you can get it for free if you spend 40$ or more). I colored the moose with Copics and I did the background with Distress inks and a spritzer tool. Hello friends! Emily here. My card for today was made with the mini set Moosing You and Branching out. I stamped and color the trees with Copics, then masked them and added the blue distress ink. My moose was adhered on foam tape on the foreground. Hi, it's N@ Ali. For my simple card I used one of my favourite sets: Calypso. The sentiment is from Rock Solid. 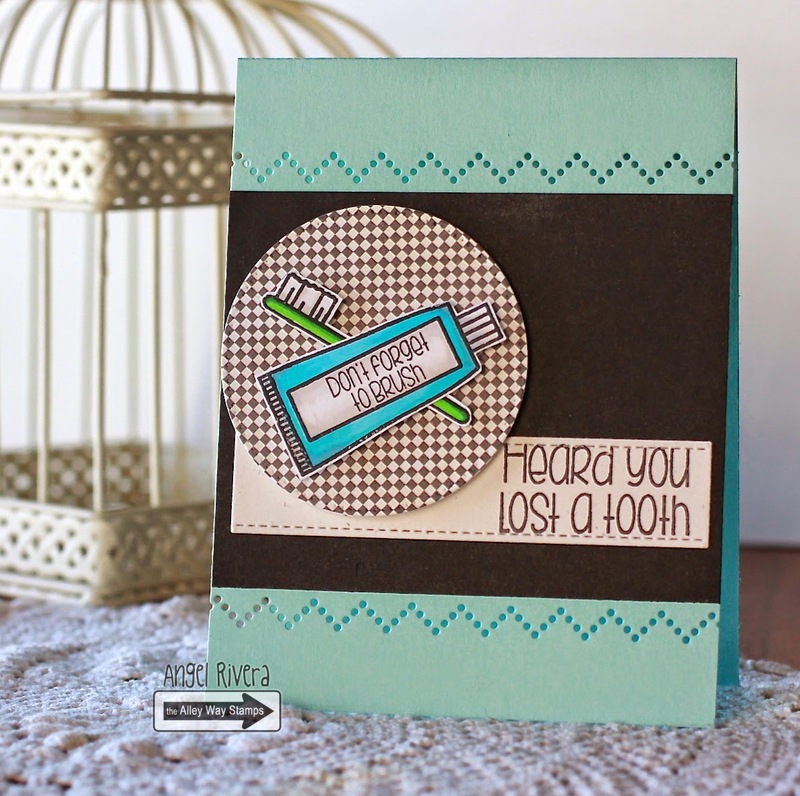 Hi Dana here with a Flashback card, which a card that features an older TAWS stamp set(s). I need some more baby cards so i pulled out Baby Talk and Nap Time and did some paper piecing!! Such great inspiration!! Thank you! 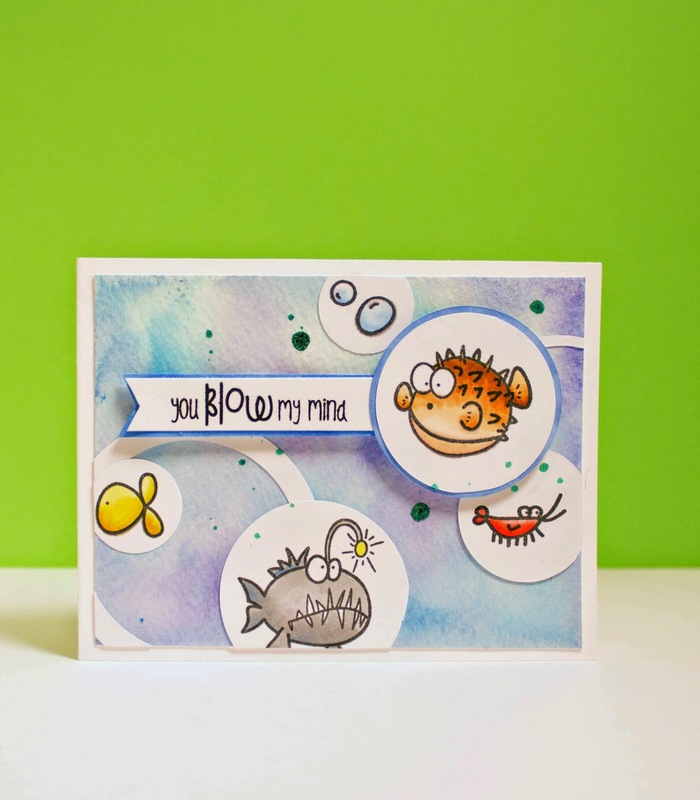 Cute cards and I like the watercolor background with Gelatos video. What fantastic cards from the design team!